Another sweet (or matamis) longaniza, this Cebu longaniza was being sold and grilled at a bus stopover in Carmen, Cebu. 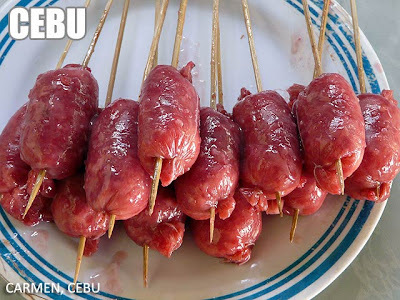 i've tasted this cebu longganiza when i visited cebu and it really taste good. the only thing is i can't bring home one to batanes coz it is prohibited due to FMD scare. our province is FMD free. can anybody who knows the recipe kindly share it to me, pls?